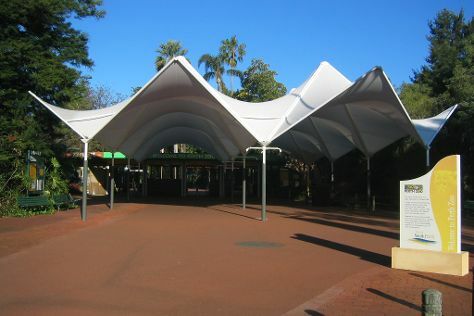 You'll visit kid-friendly attractions like Perth Zoo and Adventure World Perth Australia. Venture out of the city with trips to Caversham Wildlife Park (in Whiteman), Fremantle (Fremantle Prison & Western Australian Maritime Museum) and Providore (in West Swan). Dedicate the 12th (Sun) to wine at some of the top wineries in the area. On the 13th (Mon), give your taste buds a day to remember with a local gastronomic tour. Next up on the itinerary: admire the natural beauty at Kings Park & Botanic Garden, take some stellar pictures from Elizabeth Quay, appreciate the history behind Kings Park War Memorial, and take a tour by water with Boat Tours & Water Sports. To see ratings, where to stay, other places to visit, and other tourist information, use the Perth itinerary planner . If you are flying in from Singapore, the closest major airport is Perth International Airport. Expect a daytime high around 25°C in May, and nighttime lows around 11°C. Cap off your sightseeing on the 13th (Mon) early enough to travel back home.